Even though I wouldn’t say it’s one of my favorite books, I just had to go see what The Maze Runner would look like on the big screen. I was tempted to pick it apart as I watched, but that would come later. The Maze Runner film was directed by Wes Ball, and he described the movie as “Lord of the Flies meets Lost.” It focuses on a post-apocalyptic, dystopian community of boys who live a glade called, well, The Glade. (Creative, right?) None of them remember who they are, but as long as they all pitch in and do their part, life runs pretty smoothly. This Glade, however, is at the heart of a huge stone maze that only certain appointed “runners” are allowed to enter. The runners’ most obvious goal is to find a way of escape, but they have a bigger problem: Grievers. The spider-like, biomechanical monsters inflict psychological as well as physical pain, and eventually death, with just one sting. “No one has seen a Griever and lived to tell about it,” the boys tell a newcomer. The newcomer, Thomas, is the protagonist and is played by Dylan O’Brien. Just like the other boys, Thomas can’t remember anything, not even his name, until later. Both the book and the movie did a nice job of portraying his confusion and panic as he is sent up to the Glade in an elevator shaft. In the film adaptation, Thomas quickly goes from an insecure newbie to something of a curious rebel. He breaks the rules. He does things that none of the boys had even attempted. In doing so, he begins to find the answers. He becomes their hope. This process happens much more slowly in the book, too slow for my liking. I felt like I was wandering right along with Thomas as I read, impatient and confused at the way the exposition was drawn out. Interestingly, Celeste Forrest felt the same confusion in the film. “If you did what I did and saw the movie without reading the book, you’re going to be asking yourself, ‘What just happened? What did I just watch?’” said Forrest. Maybe more detail isn’t so bad after all; I can see that it would be unclear for people going into the movie cold turkey. The boy vs. Griever scenes were another part of the book that got an upgrade in terms of pacing. I mentioned that the Grievers in the film were spider-like, but in the book they were oversized biomechanical slugs. I was a little bit disappointed but I can see why the change was made. Grievers or no, moviegoers can be prepared for a lot of intense and startling scenes. “There was so much action and suspense in that sequence that my heart was pounding until the credits rolled,” Forrest said about an important part of the plot. Similarly, fans of the book will be happy to know that most of the plot stays intact. Most of the major events are there but some of them happen differently. So, what’s the verdict? “If you liked The Hunger Games and Divergent, it is well worth watching,” said Howard. I think that The Maze Runner took on a darker tone than the two dystopias that were mentioned, but that’s to be expected of the genre. 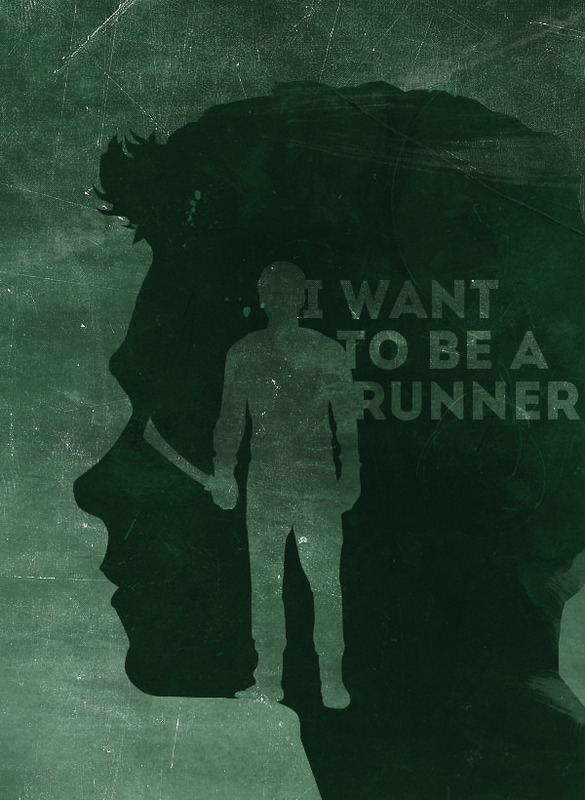 Nevertheless, both fans of dystopia and just about anyone can enjoy The Maze Runner. Just be sure to read the book first. And watch out for Grievers.